Once again the sale room was filled with great items, and dealers and customers came looking for festive items and valuables. There were bargains aplenty, but also some competitive bidding led to fabulous returns for the sellers. Getting into the Christmas spirit started off, not with a turkey, but a rabbit. 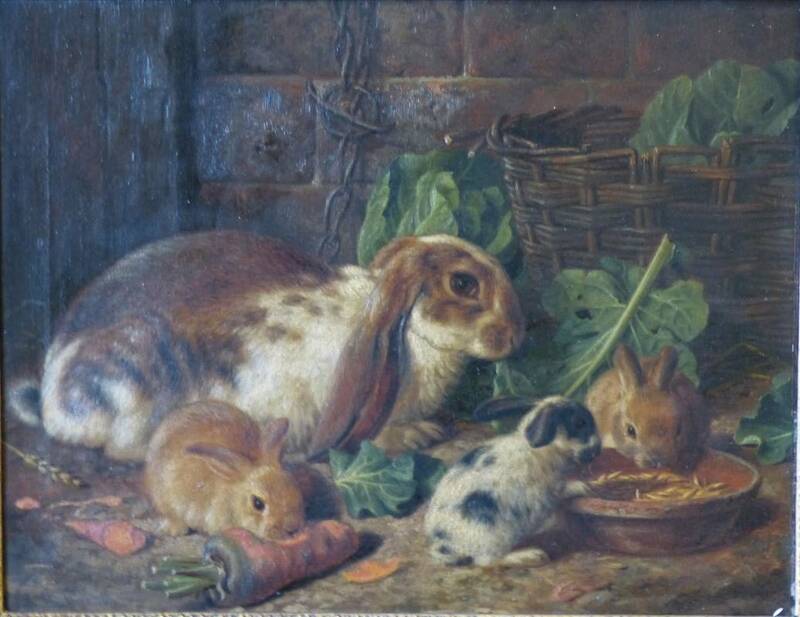 Lot 276 was an oil on canvas by Alfred Richardson Barber of a rabbit and her young. Acting on behalf of a deceased estate, a local firm of solicitors entered the picture with a £500 reserve. The picture gathered interest from across Europe, with 9 telephone lines booked onto it. Bidding was competitive, and although the phone lines pushed hard, a dealer in the room finally bought it at £4150. This set the scene for other pictures to have healthy competitive bidding. 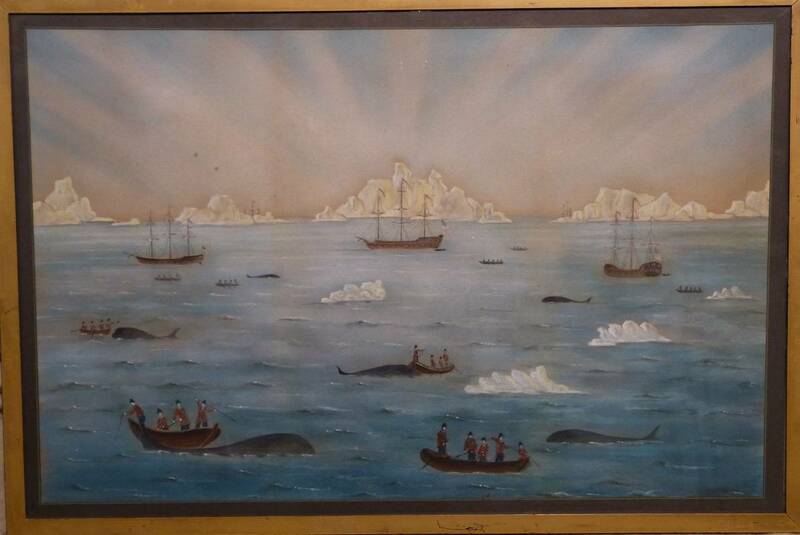 Not long after the sale of the Rabbit picture, A naive watercolour of whaling bought in a charity shop for £5, was sold to a London dealer for £1050 beating competition from Europe again. Domestic and International telephone bidding on the pictures continued to play a big part in the auction. 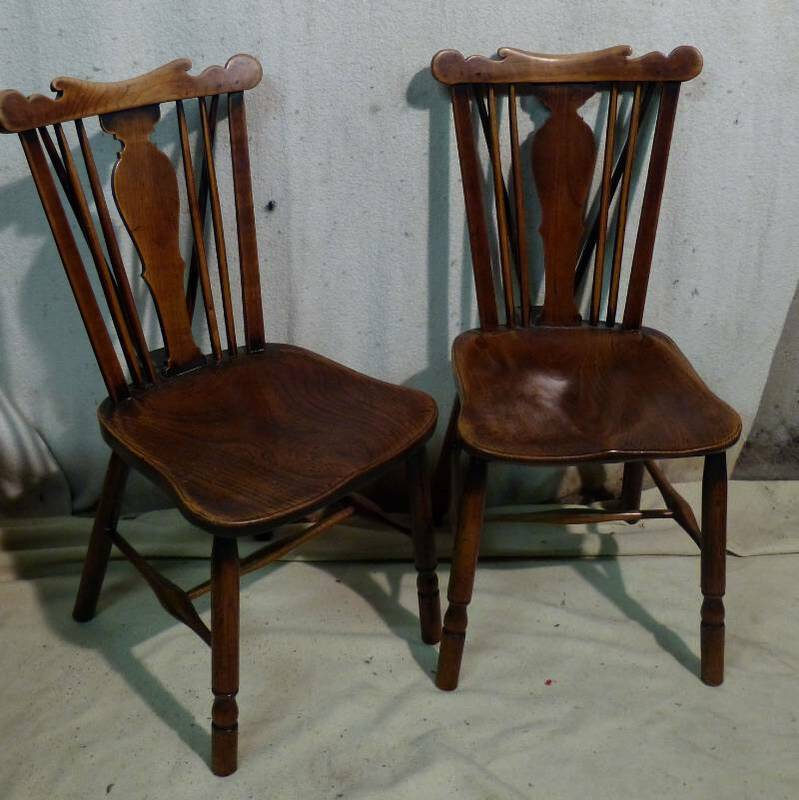 From a collection of Oriental bank notes with a £30 reserve sold to a dealer competing against a bidder from Australia for £1500, to the superb lot 822, a collection of six early country stick back chairs which finally sold to a telephone bidder for £4250. Away from the paintings and pictures, it was no surprise to see that the silver and jewellery section continued to sell well. Stand out performances were lot 533, a single diamond earring selling for £1450, Lot 534, a gold necklace at £980, and 553, a tanzanite ring for £900. Finally, after a difficult number of years, the Auctioneer is delighted to announce that most of the furniture section found new homes.